Daniel Ghinn examines the social media conversations around an advertisement for opioid-induced constipation that was aired during the final of the hugely popular American football championship in the US last Sunday. 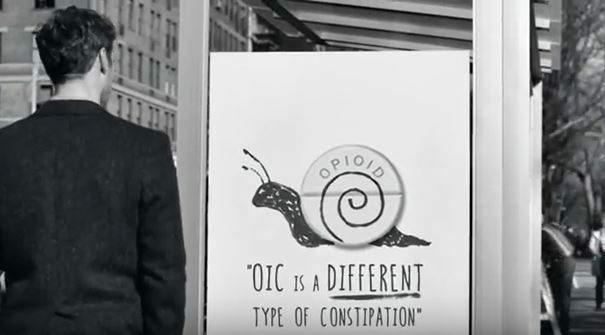 If the goal was to get people all over the world talking about opioid-induced constipation (OIC), then the television advertisement that ran in the US during the Super Bowl Final last Sunday was a success. The ad, produced in partnership with a group of five pain-related patient advocacy groups, and funded by Daiichi Sankyo and AstraZeneca (AZ), was an awareness-raising initiative about OIC. It did not mention the sponsors’ treatment for the condition, but instead encouraged viewers to “have the conversation with your doctor about OIC, and ask about prescription treatment options”. In the hours that followed, thousands of conversations ensued on social media about OIC, and the topic – or rather, the ad – was widely covered by mainstream media titles. So this got me thinking: if OIC sufferers do take up the call to action and ask their doctors about OIC, how much will those doctors know about the oral OIC treatment naloxegol, which Daiichi Sankyo and AZ launched in the US in April last year as Movantik, and as Moventig in the UK in October? What do doctors know about naloxegol? “Movantik (naloxegal) [sic]. OK, I live a sheltered life. I had not heard of this medication,” he wrote. This view aligns with analysis of the online conversations of healthcare professionals (HCPs), which indicates that, until this week’s Super Bowl ad, doctors talked very little online about OIC. In fact, in the 24 hours following the ad last Sunday, HCPs talked 12% more about OIC than they had in the preceding six months. Yet, while the ad certainly stimulated some conversation among HCPs about OIC, there appeared to be some confusion among them about medicines to treat the condition. Among the very limited product mentions in the post-Super Bowl HCP conversation were as many mentions of Relistor (methylnaltrexone bromide) – an injectable OIC treatment launched in 2008 by Wyeth Pharmaceuticals and now marketed by Salix Pharmaceuticals – as there were of naloxegol by any name. In one online conversation during the Super Bowl, a medical student responded to the ad, sparking a conversation with a fellow at the Leonard Davis Institute of Health Economics at the University of Pennsylvania, in which she suggested Salix Pharma’s Relistor was the OIC drug behind the campaign. However, some doctors did identify the product made by the ad’s sponsors. “Paid for by @AstraZeneca maker of naloxegol = expensive oral naloxone” tweeted critical care physician Tom Bice. Objecting to the White House position? In the public arena, even the US Government joined in the conversation that the Super Bowl ad started about OIC, when White House Chief of Staff Denis McDonough tweeted: “Next year, how about fewer ads that fuel opioid addiction and more on access to treatment. #SB50”. Commenting on the White House position, USA Today reporter Kim Painter asked, “Was it irresponsible to promote meds for opioid-induced constipation on Super Bowl? White House suggests it was…” Pharmacologist David Kroll responded to Ms Painter’s question by sharing his view that it was, in fact, White House Chief of Staff Denis McDonough who was irresponsible for suggesting that treating OIC fuels opioid addiction. Among prescription medicines, opioids are in a space that attracts controversy, so the launch of a product which makes opiates more comfortable for patients appears to have stimulated discussion on all sides of the debate. The opportunity for the product’s makers, then, is two-fold: to learn from the views and experiences of HCPs and to play a relevant part in the conversations sparked by their advertising. As for naloxegol, this brief analysis would imply that, in order to complete the loop with the patient-doctor conversation about OIC, there is still some work to be done. Daniel Ghinn is founder and CEO of Creation Healthcare, a company that analyses what HCPs say online to provide market research insights to pharma and healthcare companies. 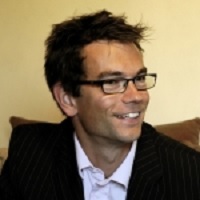 He tweets at @EngagementStrat and can be contacted at daniel.ghinn@creationhealthcare.com.